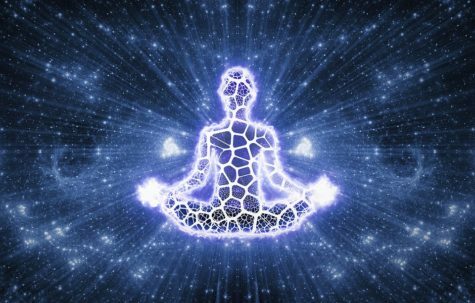 Different people who fire dance often have different preferences on their "tools." 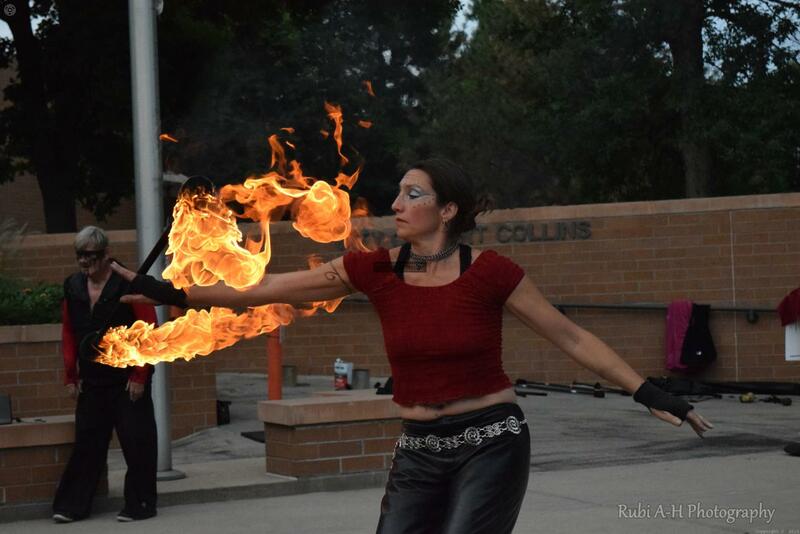 Pictured is a double wick fire staff which is often balanced on the shoulders and swung around. 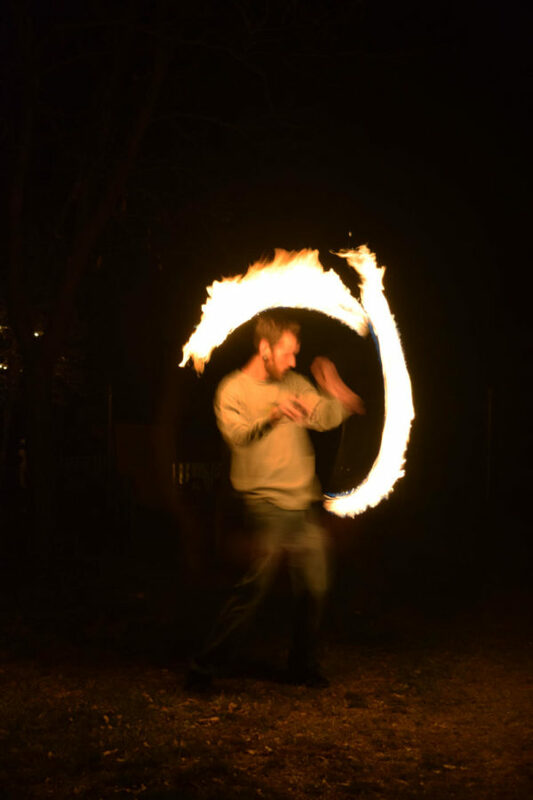 This photo of a Dustin Grove using poi shows the risky, strange, unique thing called fire dancing.